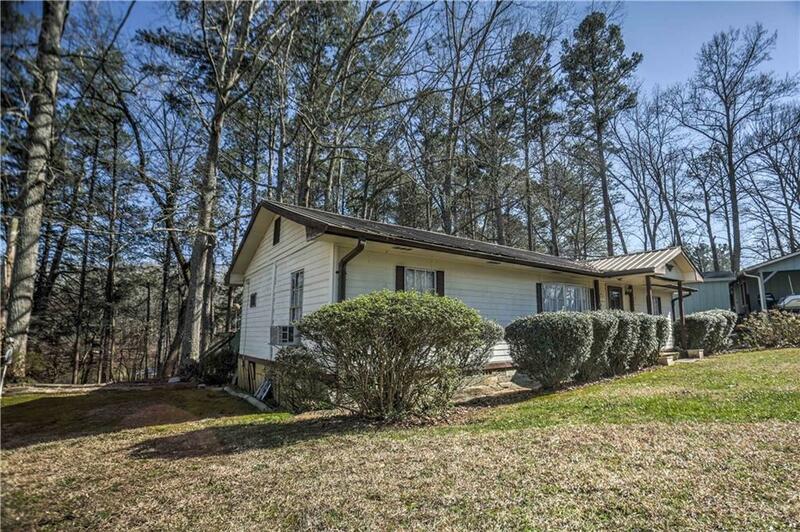 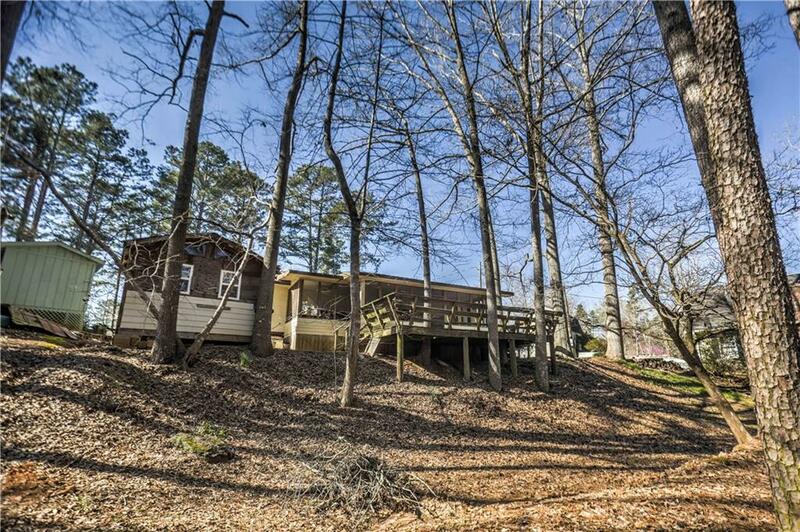 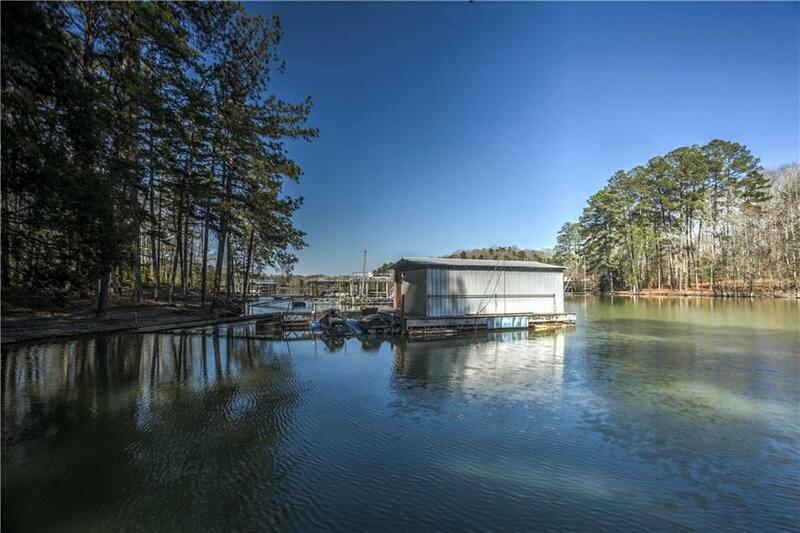 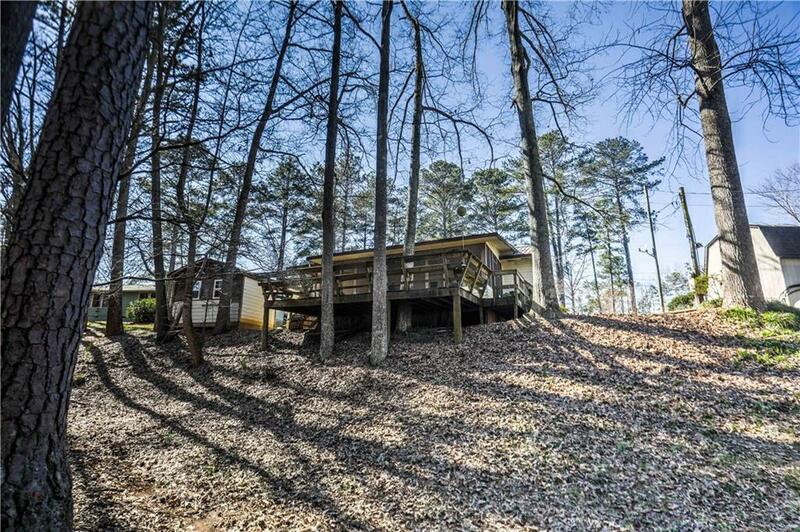 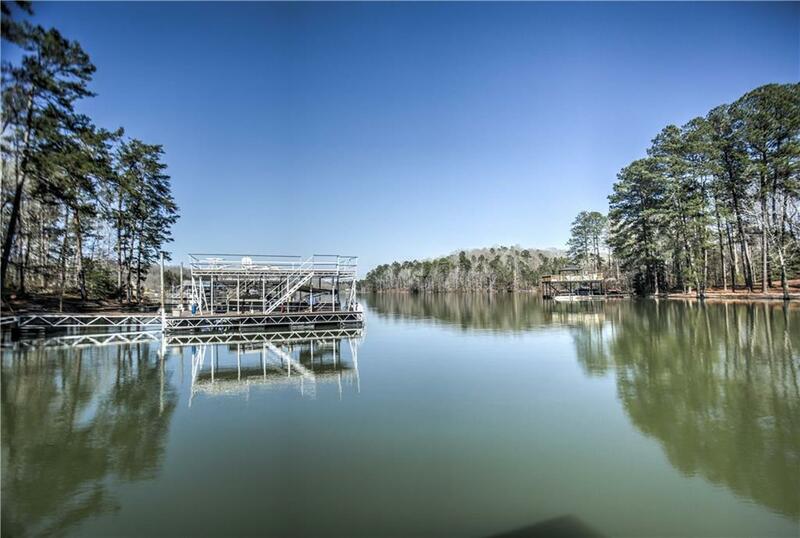 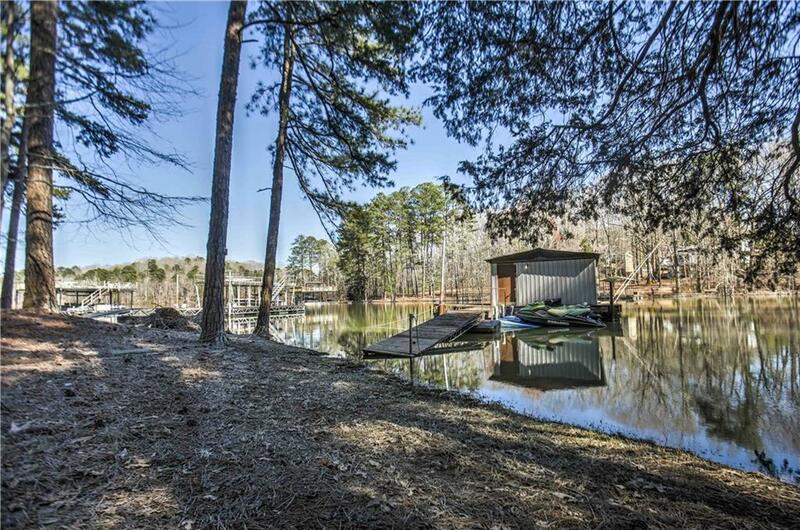 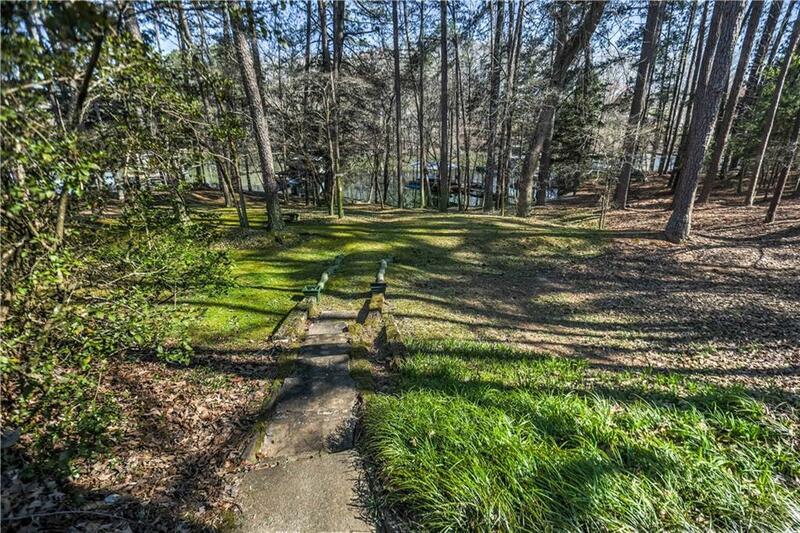 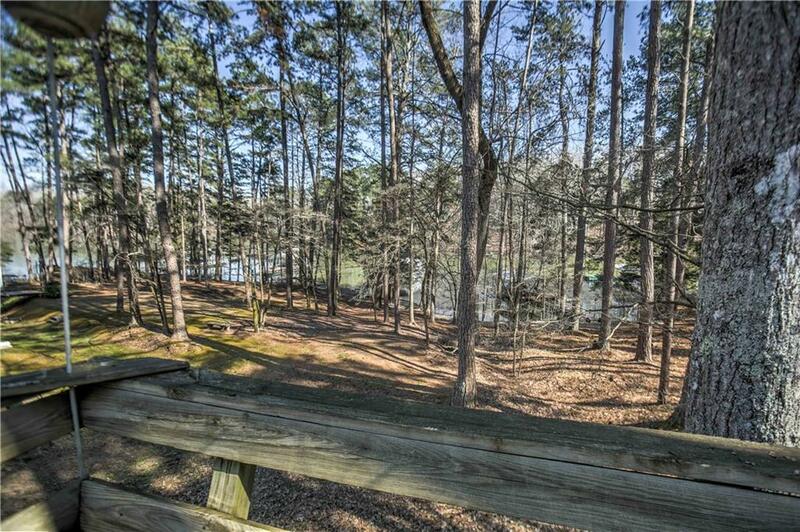 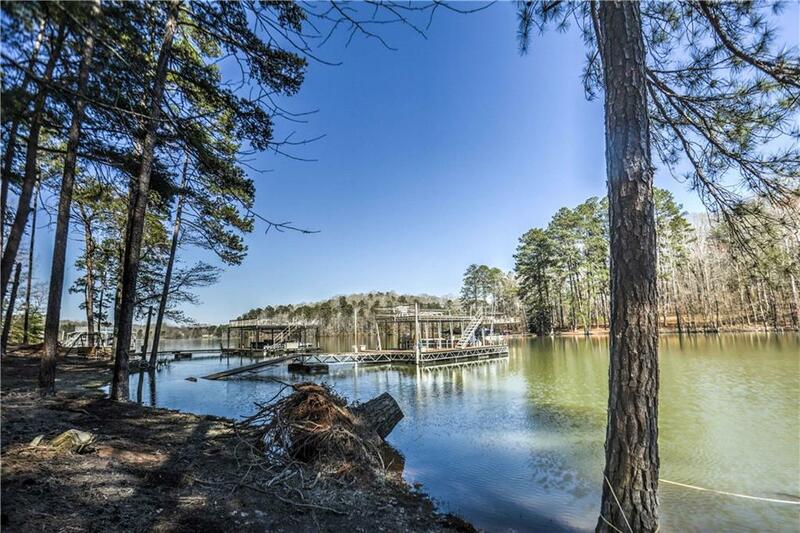 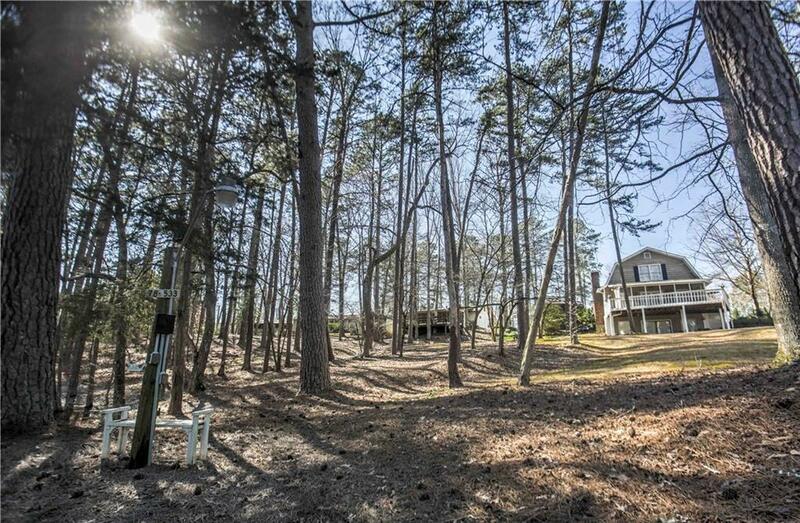 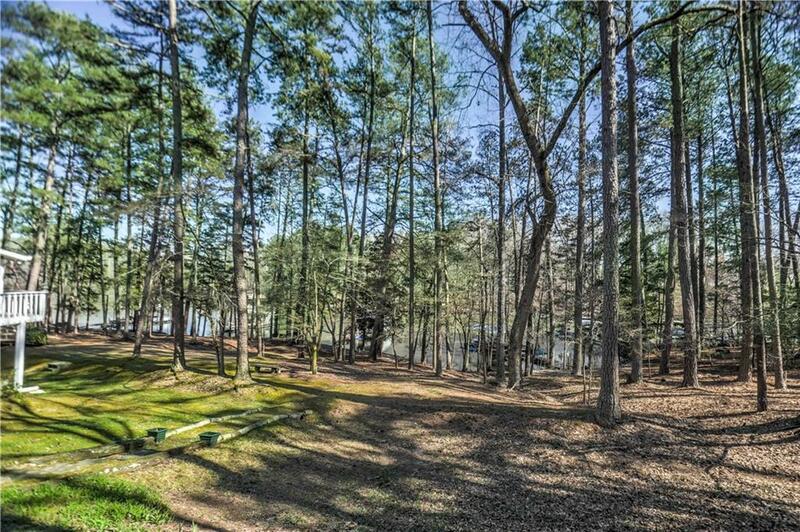 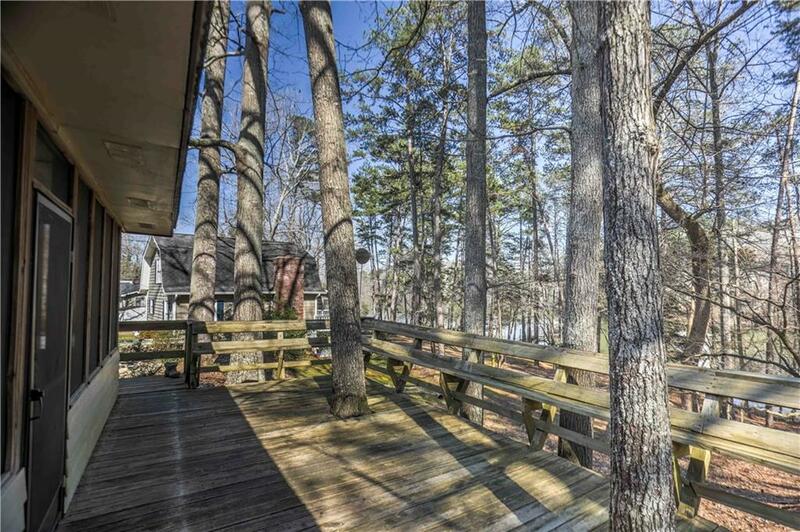 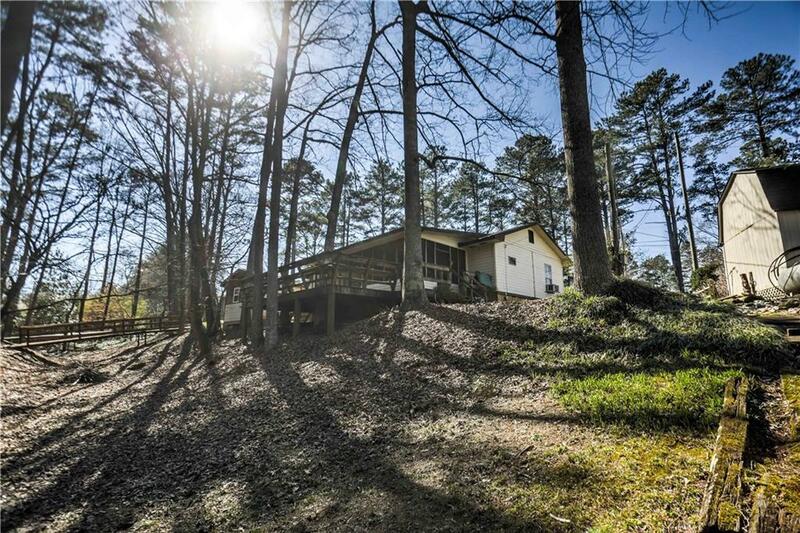 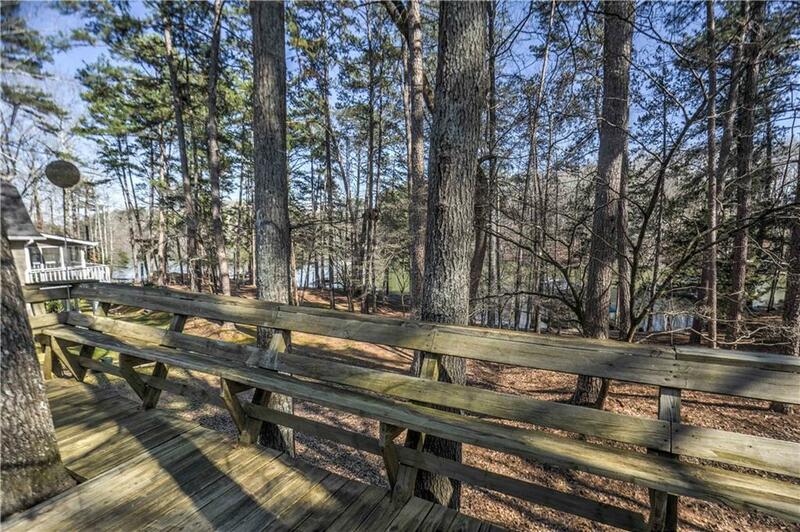 Beautiful gently sloping lake lot on Lanier in a protected cove with limited wave action but with deep water! 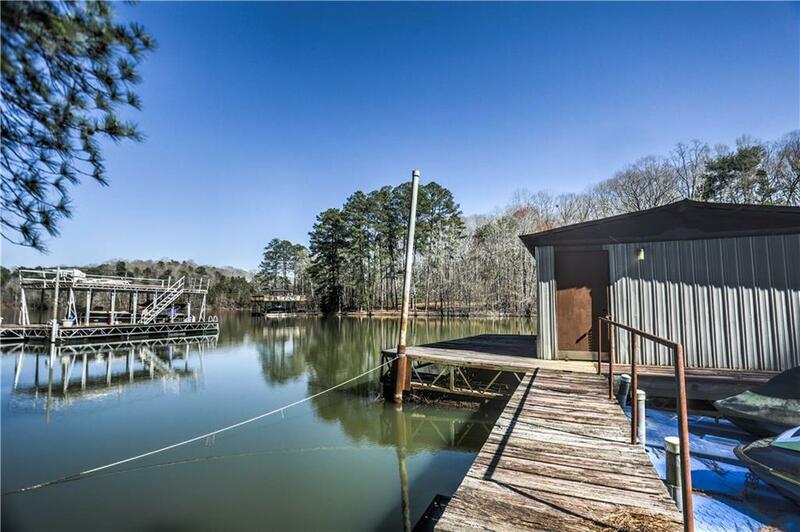 The property includes a boat house with a boat lift. 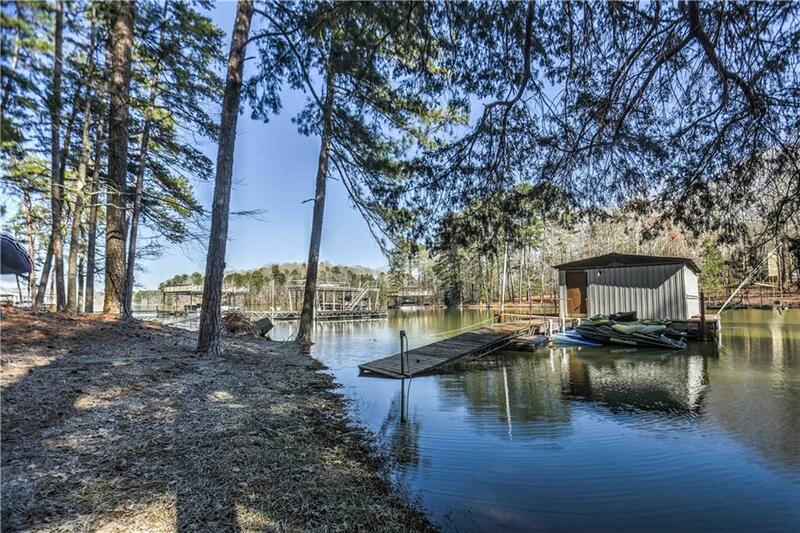 The boat house is grand-fathered in and, while a new dock can be purchased and installed, it cannot be replaced, per Corp rules, with another fully enclosed boat house. 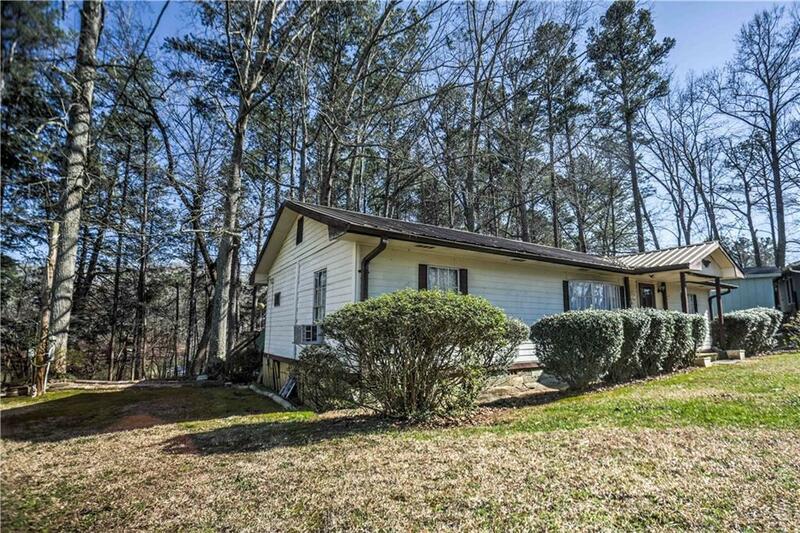 Additionally there is an existing 3br 2ba double wide mobile home on the property that could possibly be refurbished or buyer could remove it and build their dream house. 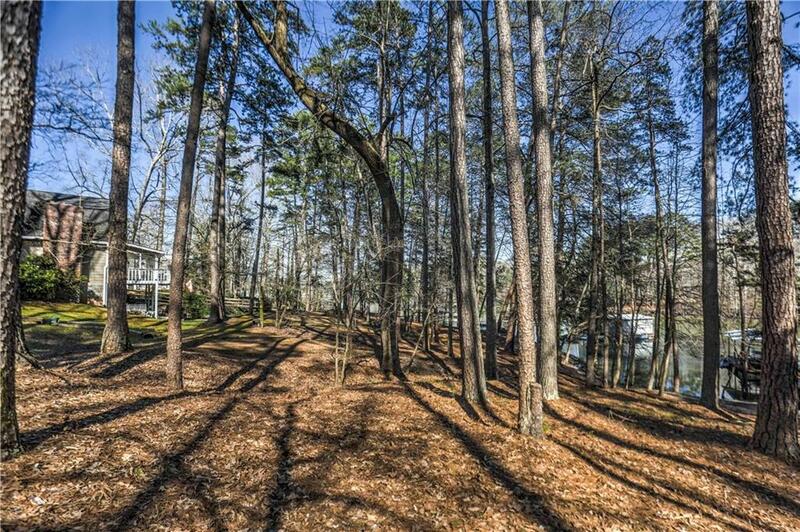 The lot is approximately 100 feet wide at the building line!